Even though furnaces are regarded as one of the most efficient and dependable heating systems on the market, they can still sometimes malfunction and require service. When that happens, call the furnace repair Houston professionals at Houston Admiral. 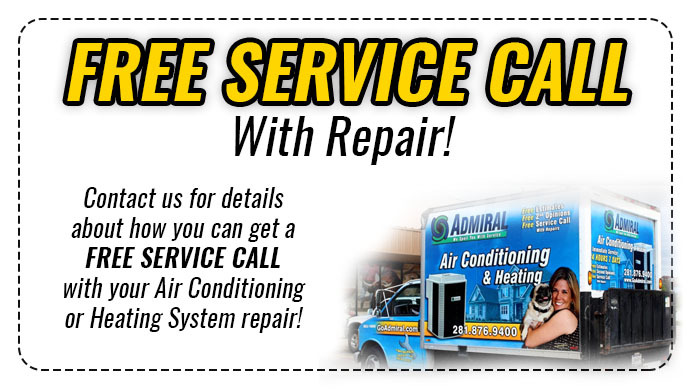 We can repair any type of furnace including gas and propane, electric systems. We’re available 24/7 for emergency furnace repairs and we offer flat–rate pricing so that there aren’t any hidden fees with the bill at the end. Our furnace repair Houston technicians go through regular training throughout the year and we guarantee all of our labor for a year. Whether your furnace is starting to make unusual noises or it isn’t producing enough heating, just contact us today to talk with one of our furnace repair Houston experts. 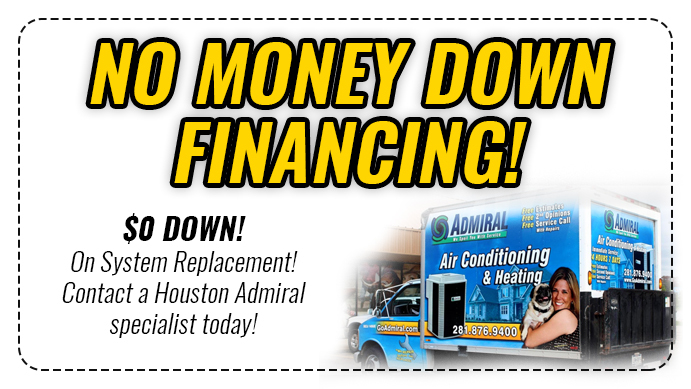 Contact the furnace repair Houston experts at Houston Admiral for quality repair services throughout Houston and surrounding areas. Your furnace is a crucial piece of equipment which your family or employees depend on heavily all winter long. Furnace breakdowns can be annoying, especially when you’re left without heat. To help avoid system breakdowns, keep an eye out for signs that could indicate there is an issue present. The furnace repair service Houston team at Houston Admiral is knowledgeable regarding all furnace models and can perform the needed services for any commercial and residential furnace equipment. Our furnace repair service Houston technicians will thoroughly investigate the issues you report and inspect your furnace in order to discover the malfunction causing your discomfort. We will inform you of our discoveries and provide you with an estimate of the costs associated with your furnace before we begin our repair work. We will take the time to answer the questions you have and make all repairs in a timely manner in order to increase the performance of your furnace.